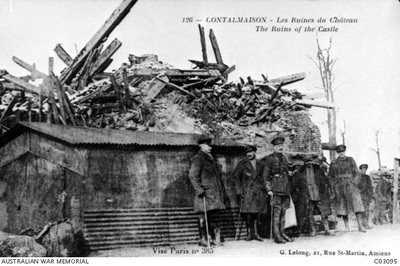 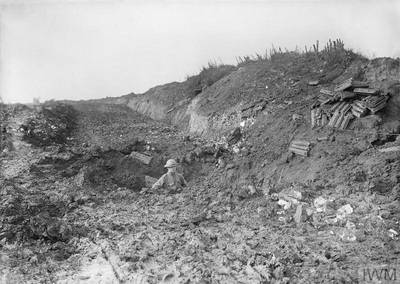 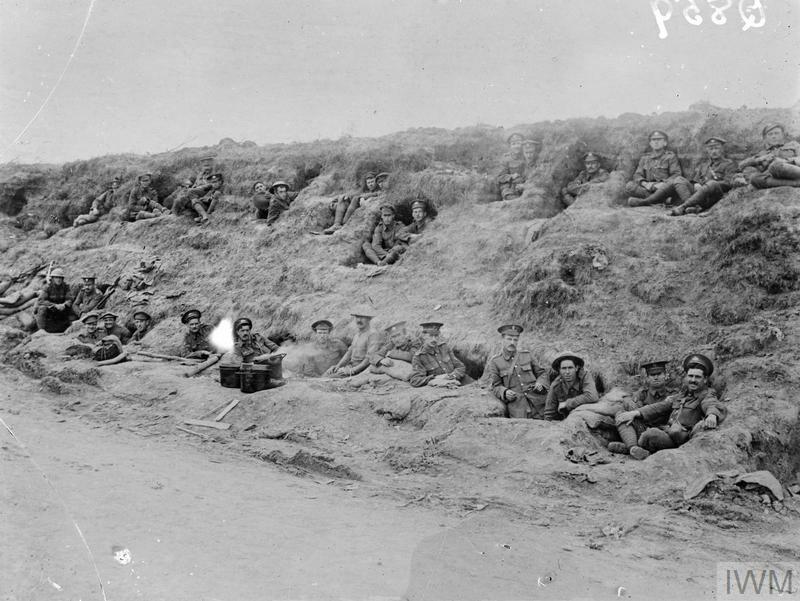 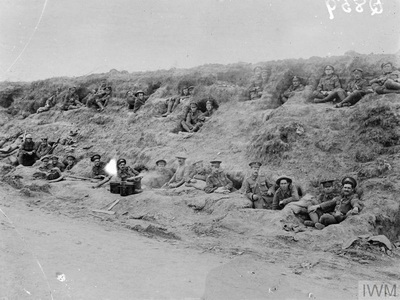 Contalmaison is a village and commune in the Department of the Somme, 6 kilometres east-north-east of Albert. 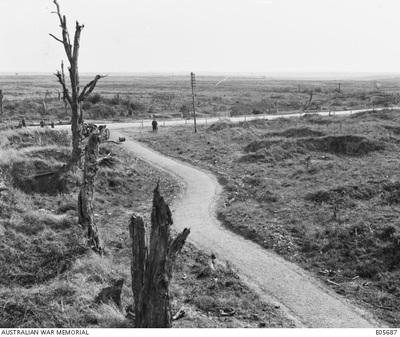 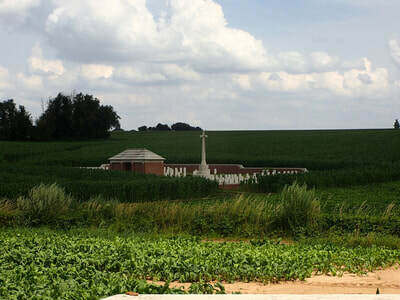 The sunken road from which this cemetery is named is part of the Contalmaison-Pozieres road. 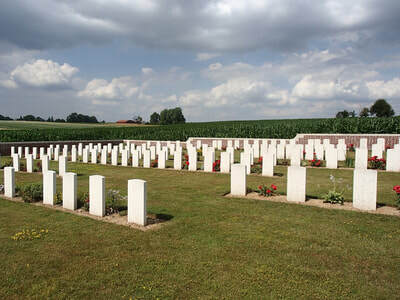 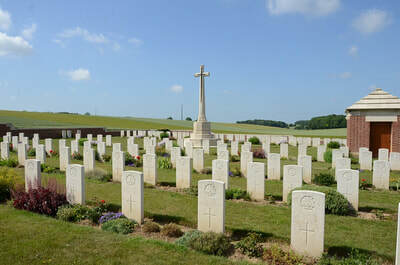 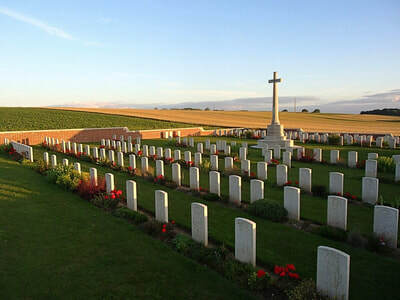 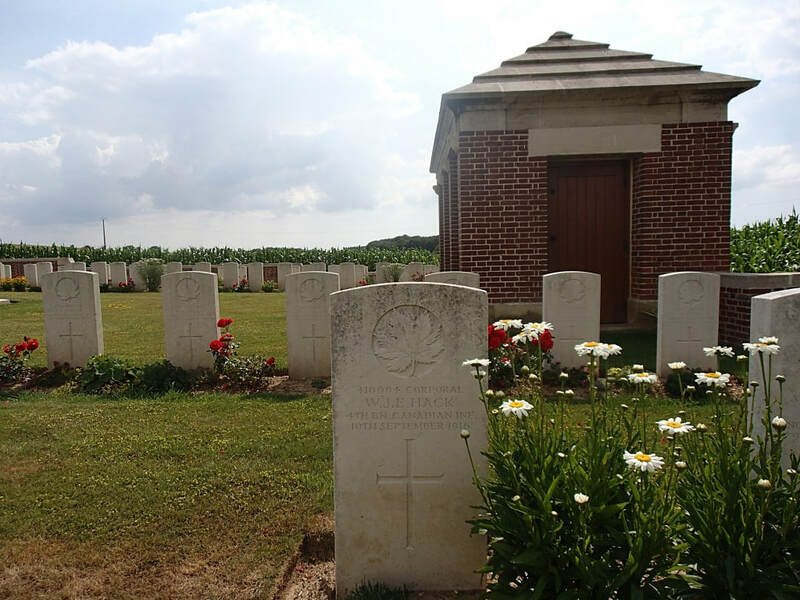 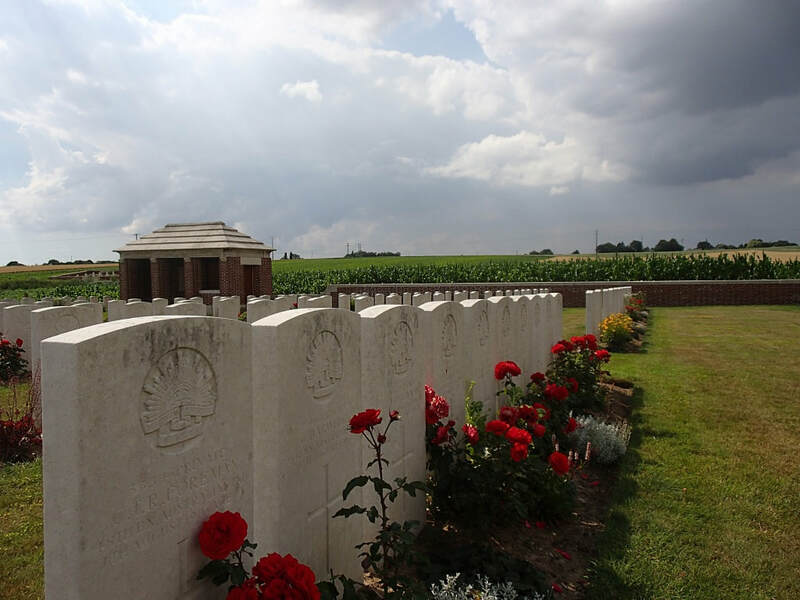 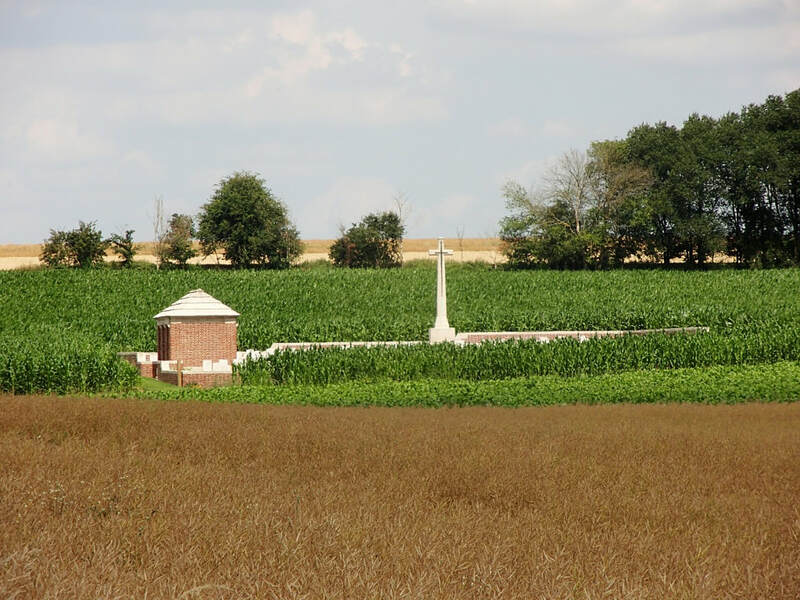 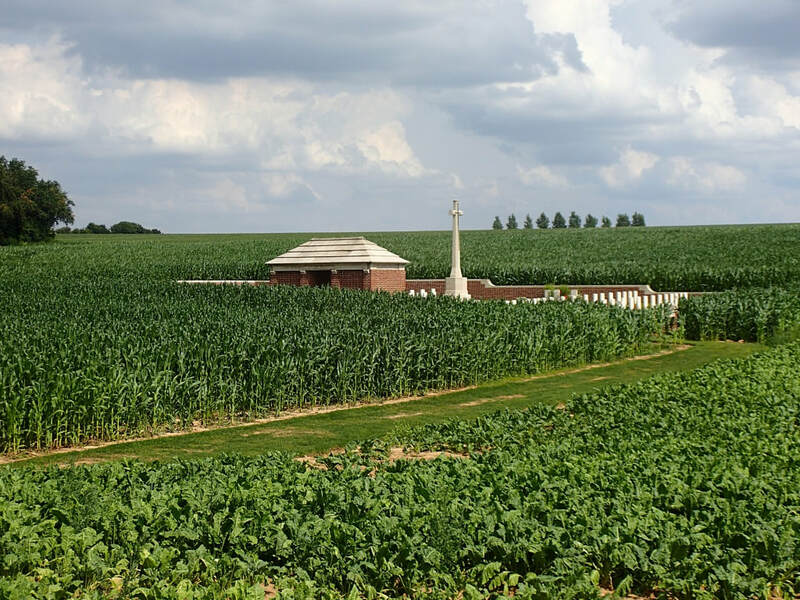 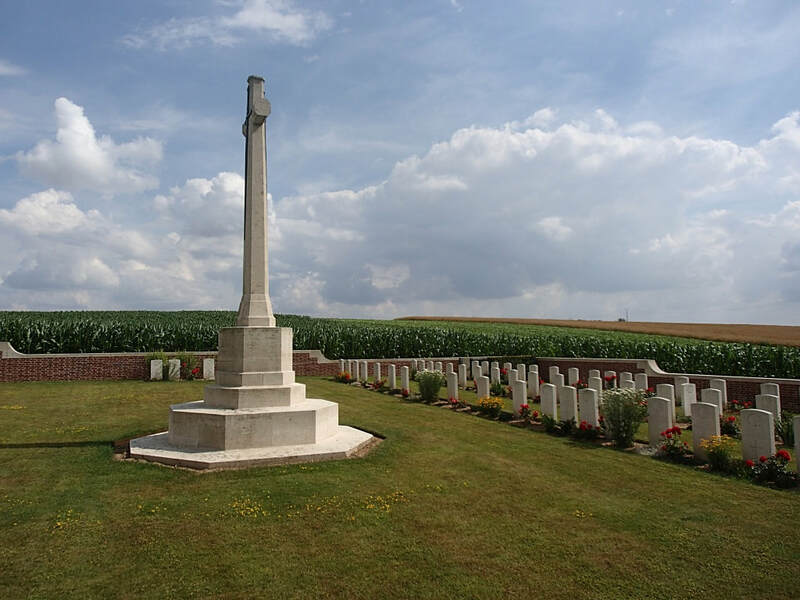 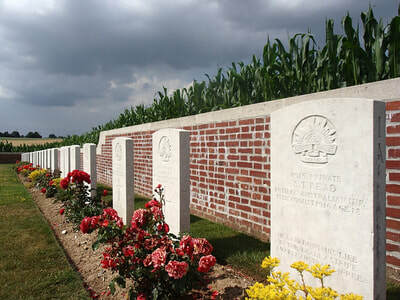 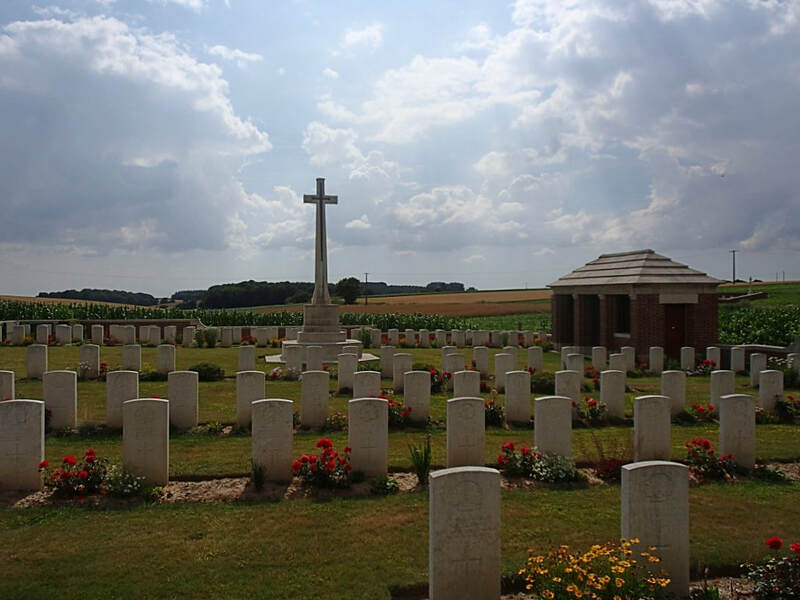 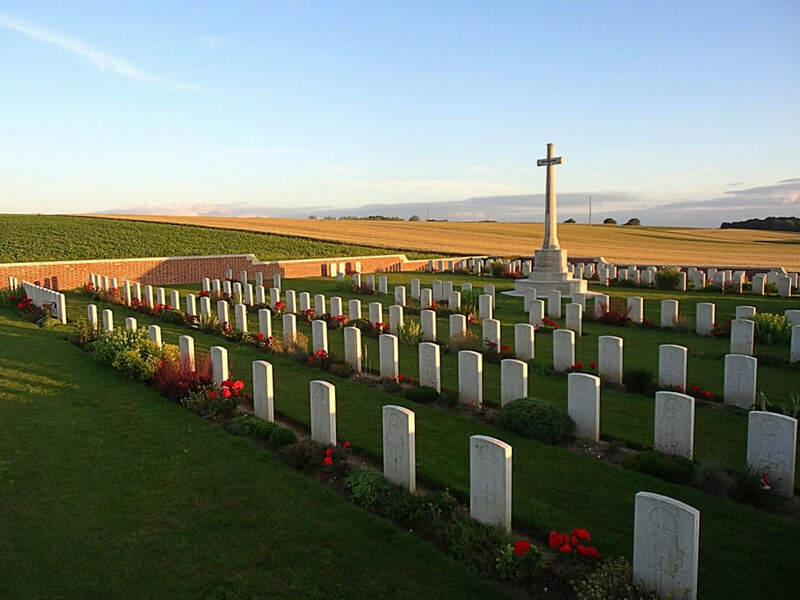 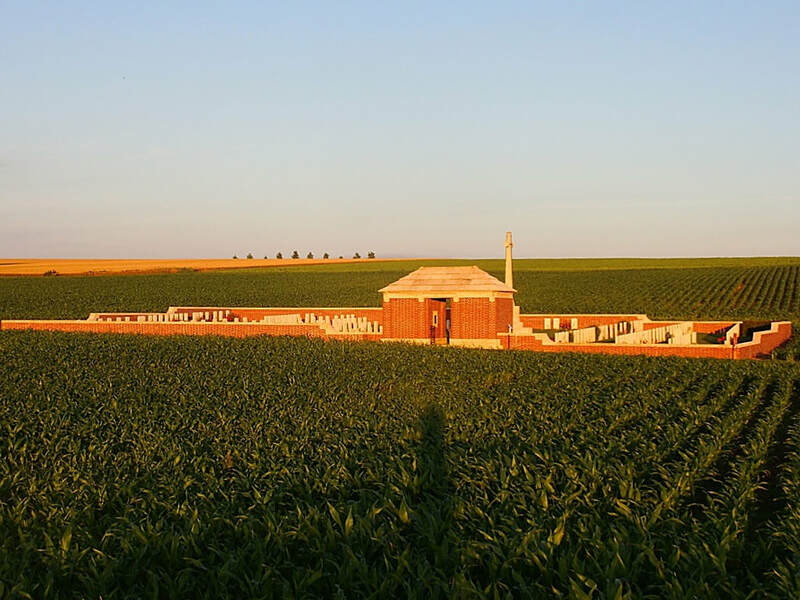 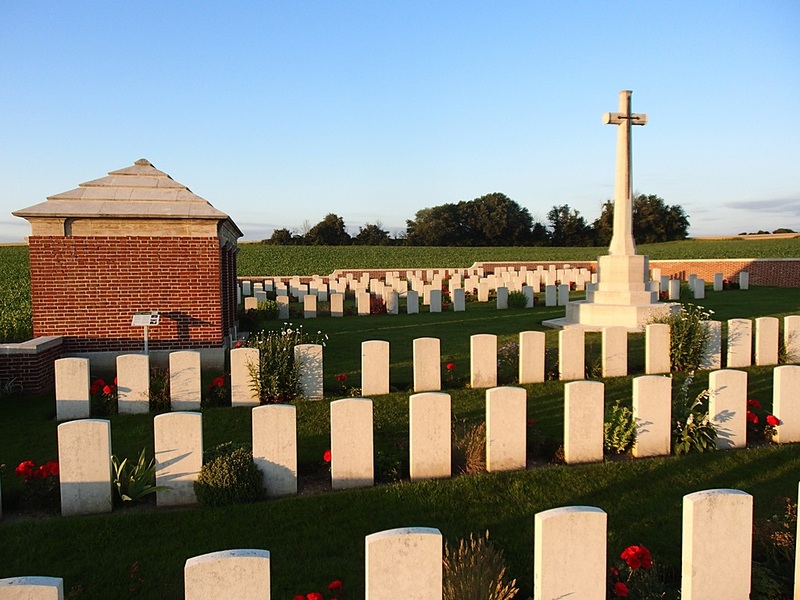 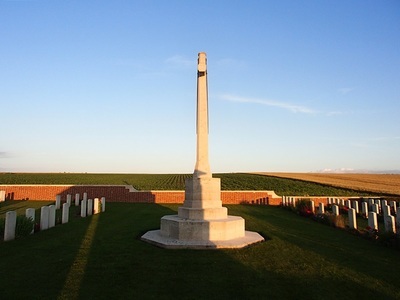 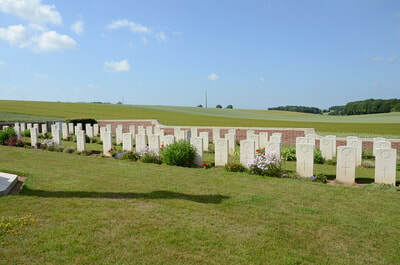 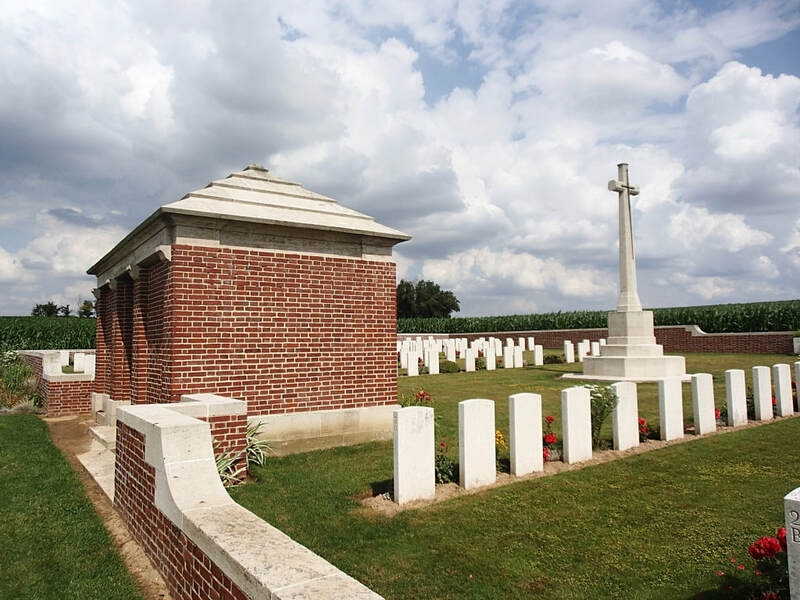 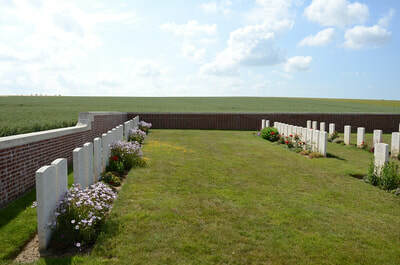 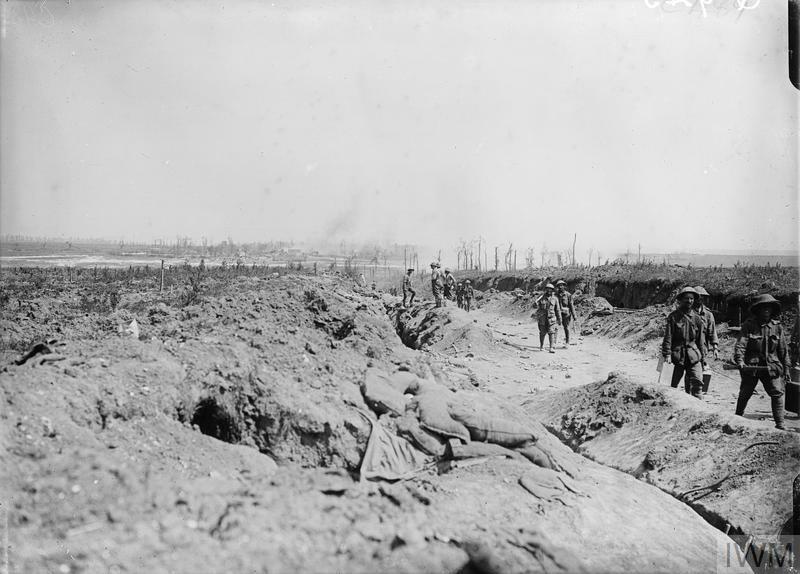 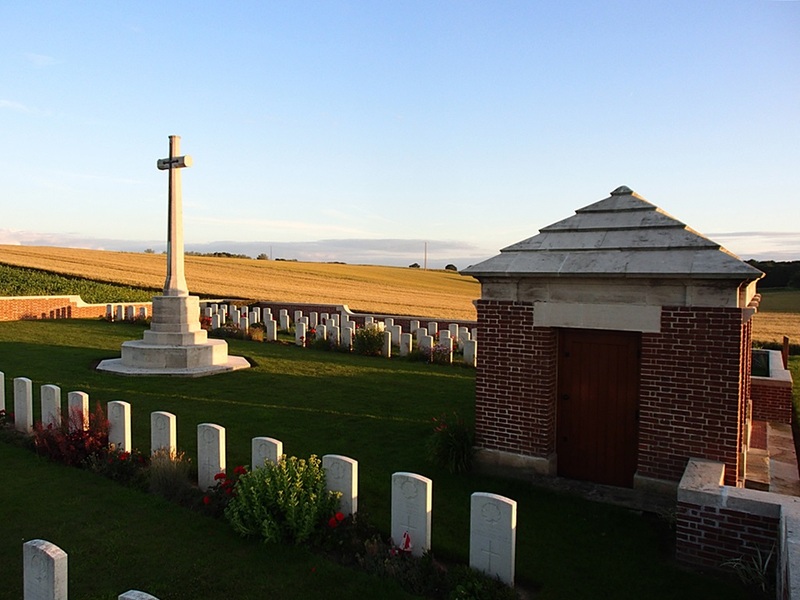 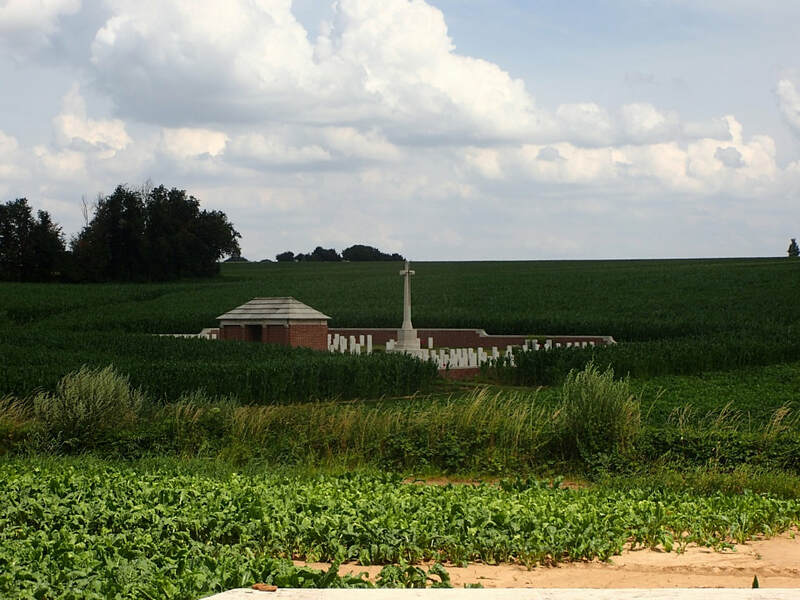 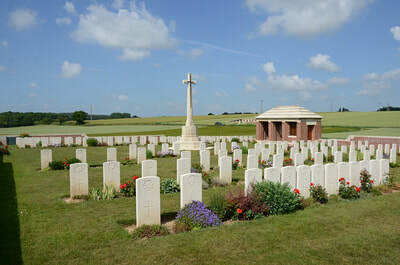 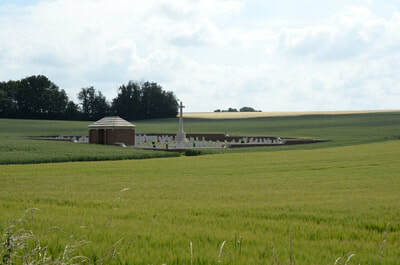 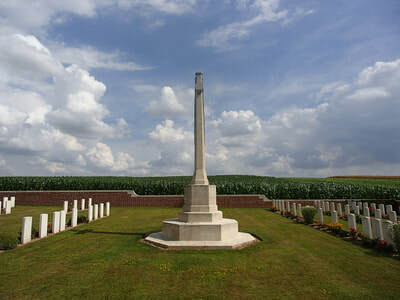 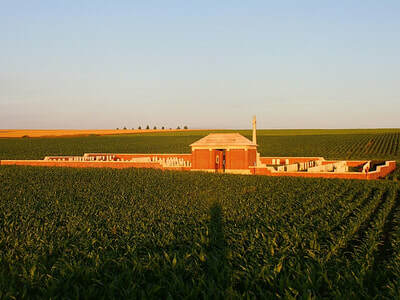 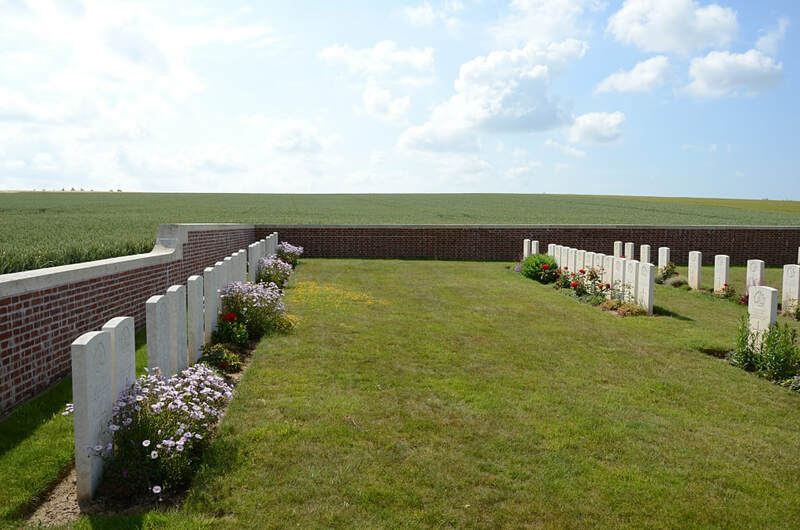 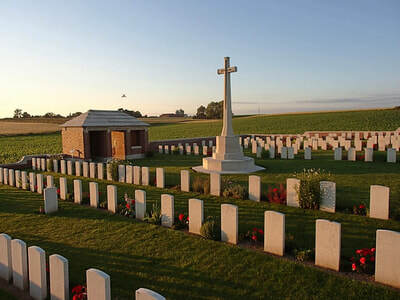 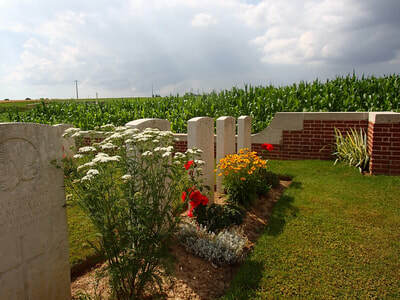 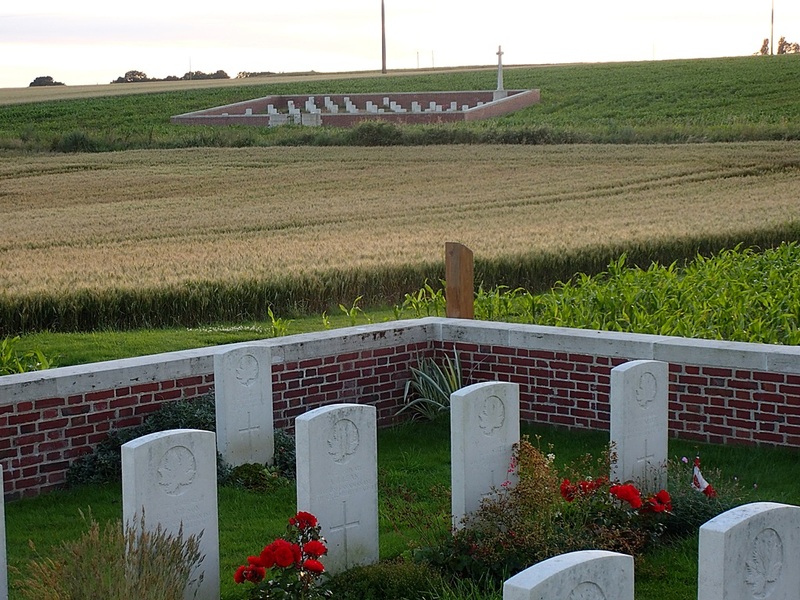 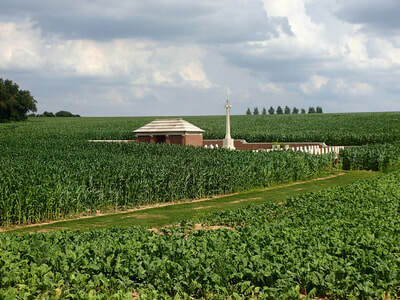 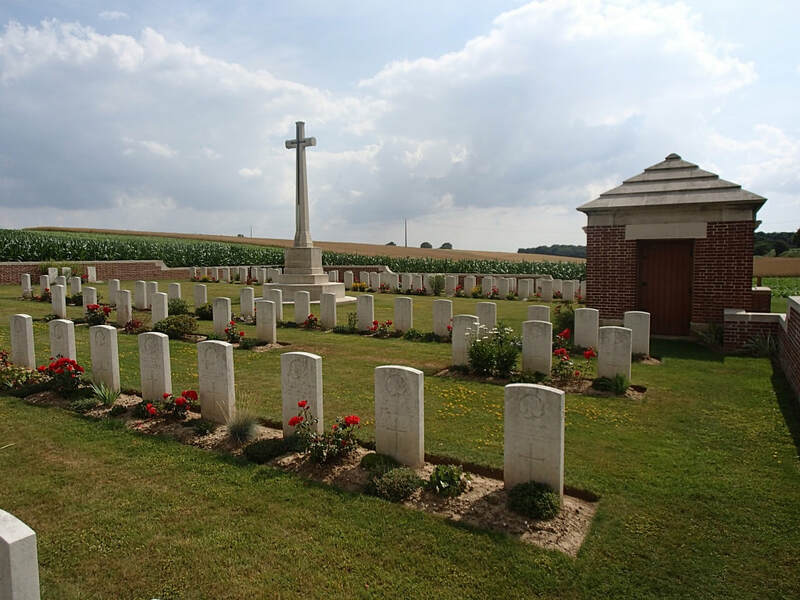 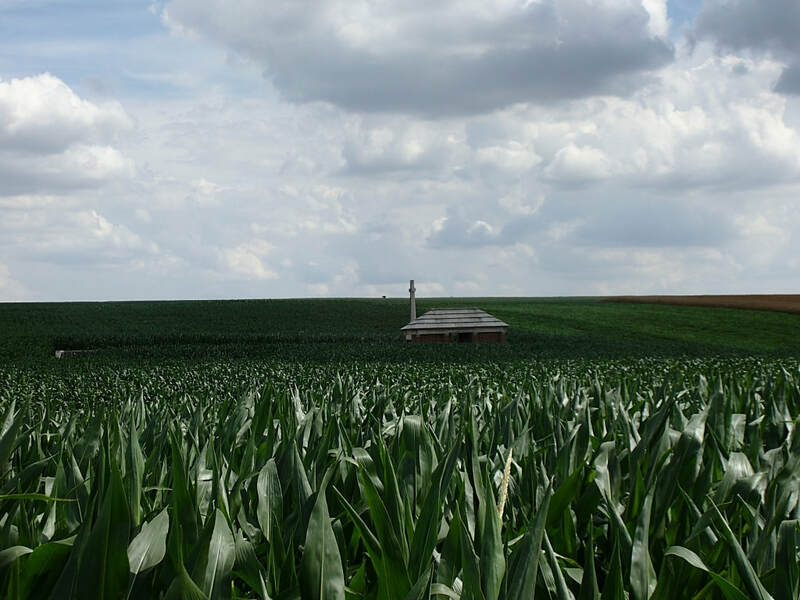 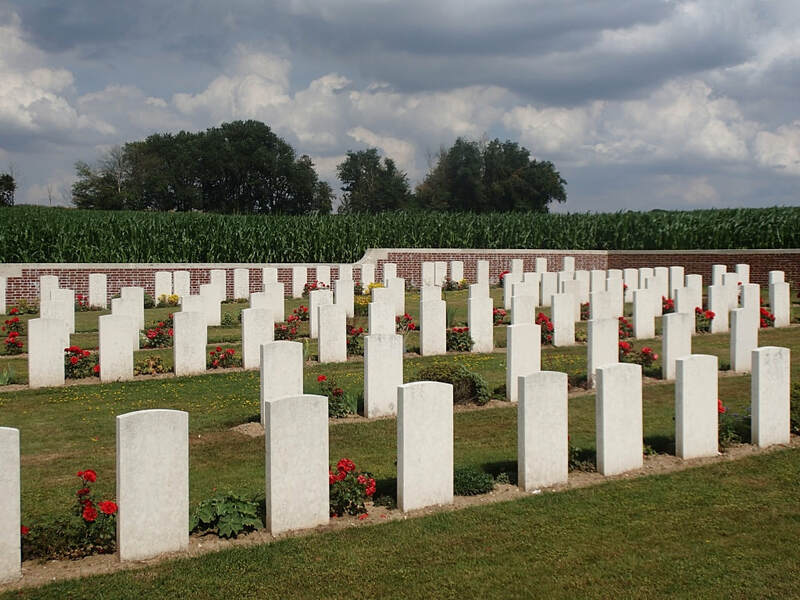 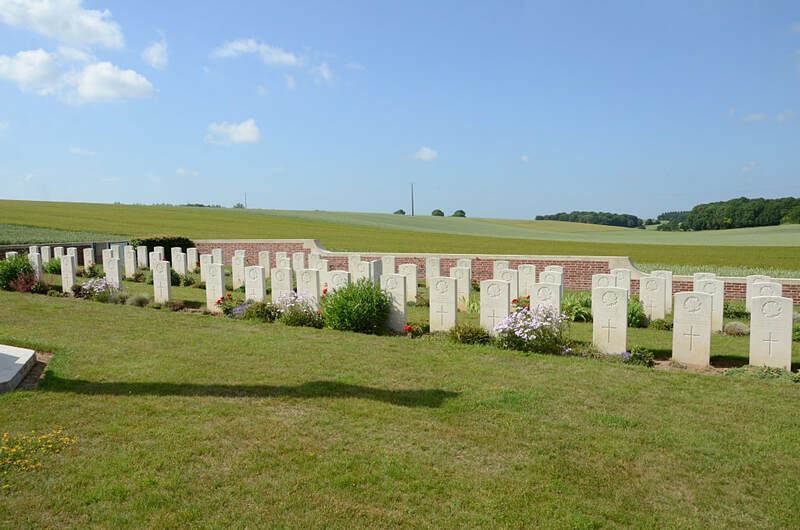 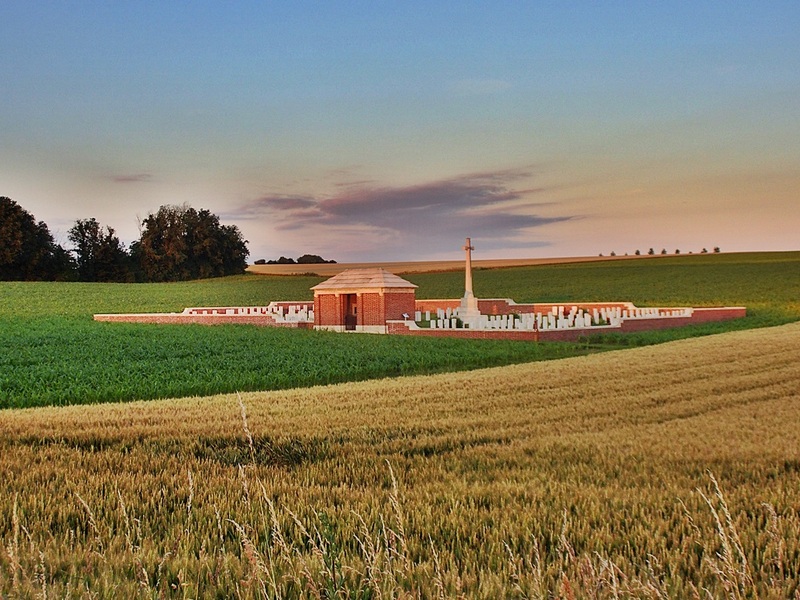 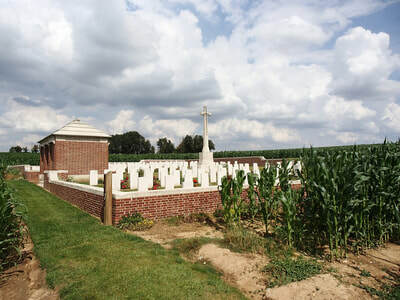 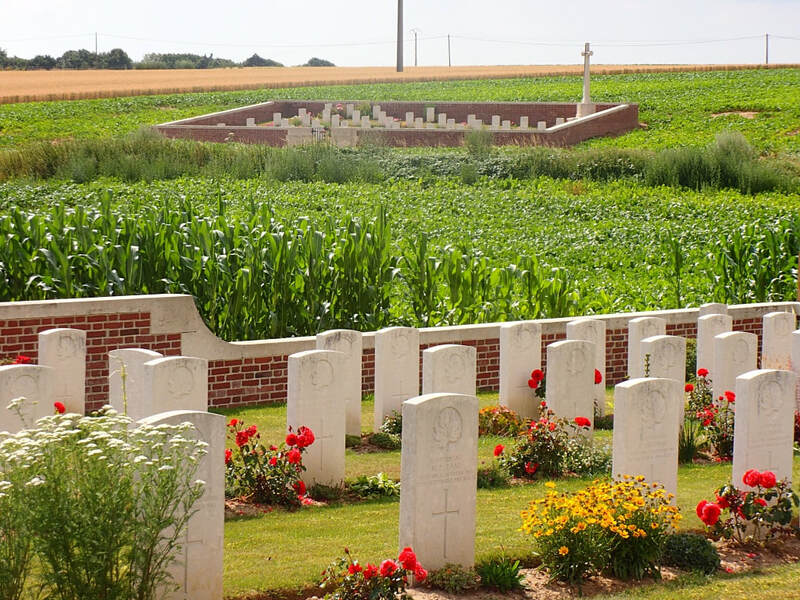 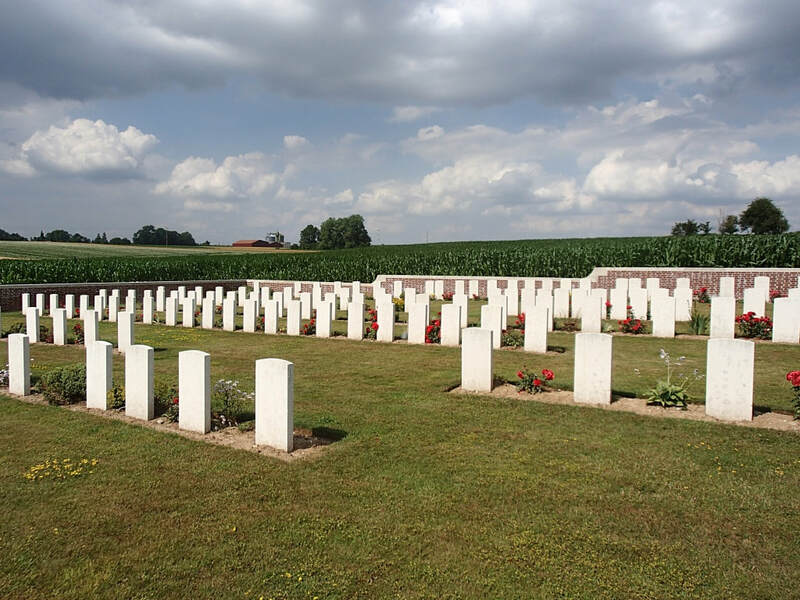 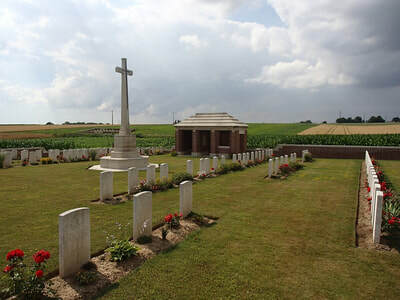 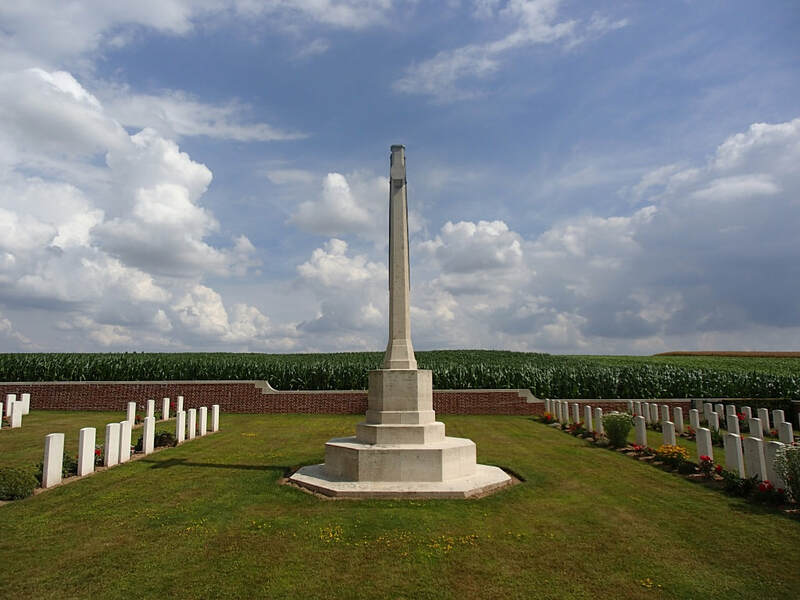 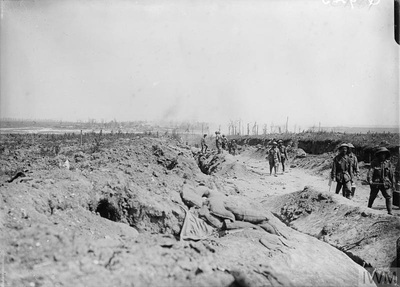 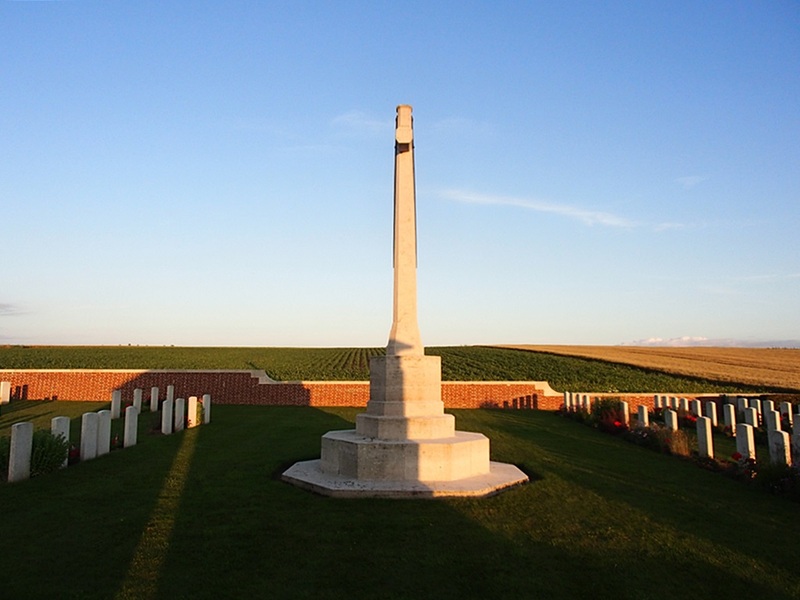 The cemetery lies in the fields on Accommodation road 400 metres east of the main Contalmaison to Pozieres road. 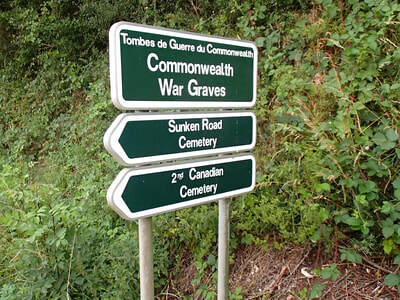 Access to the cemetery is via a rough track which can be inaccessible under bad weather conditions. 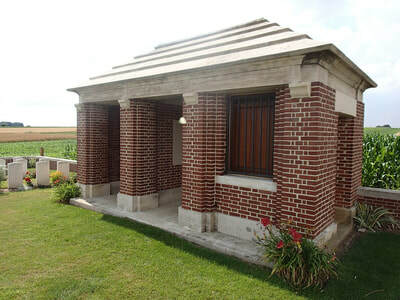 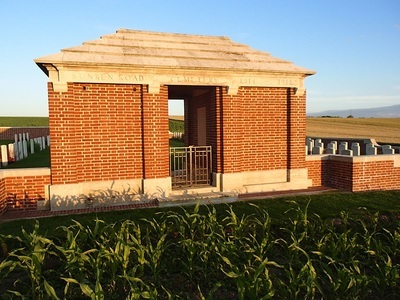 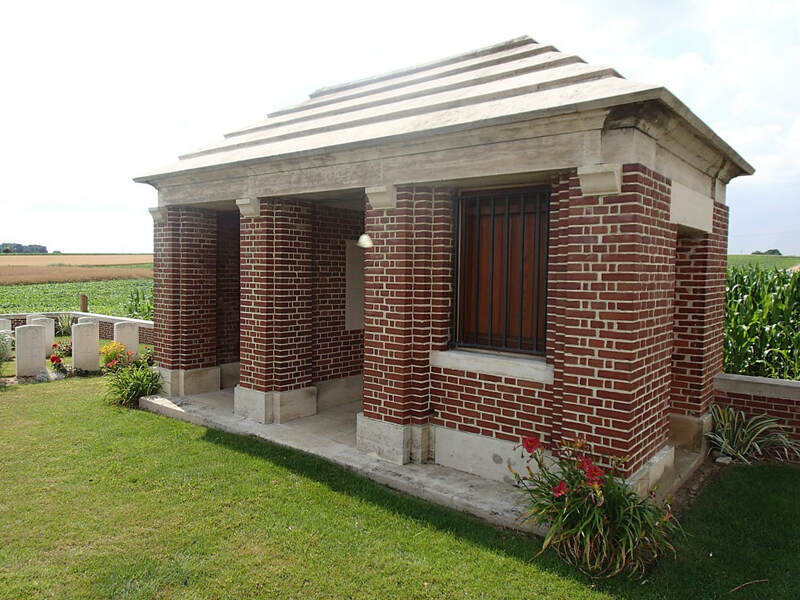 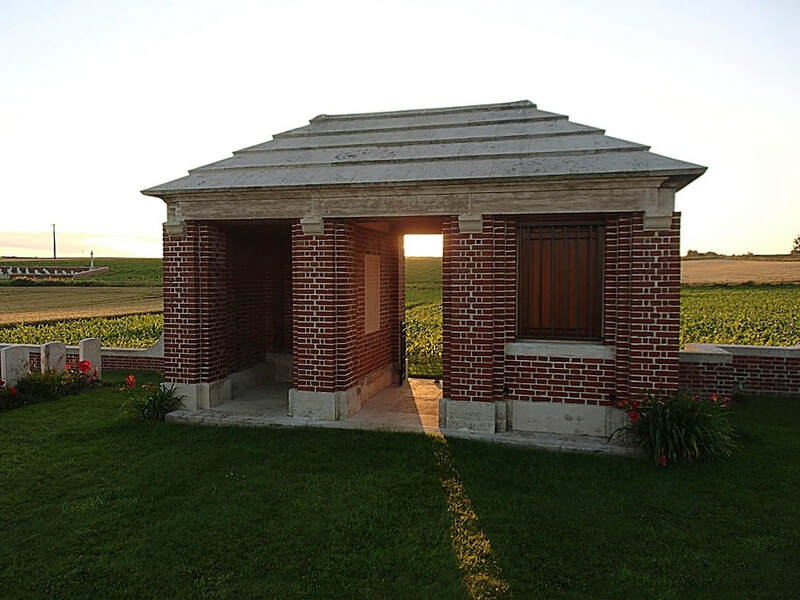 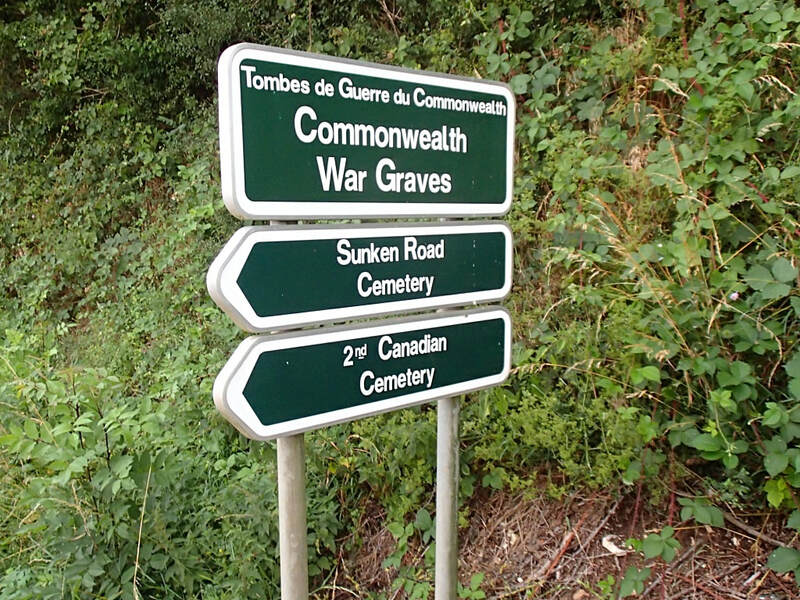 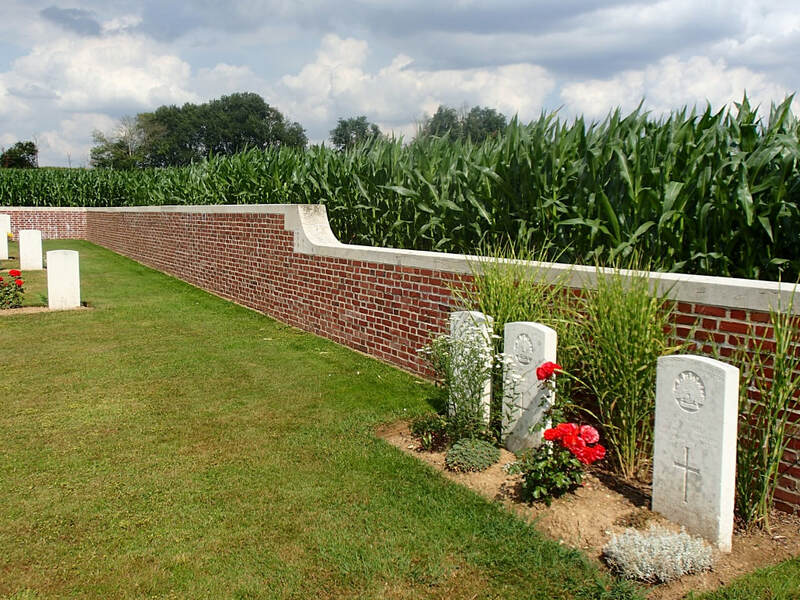 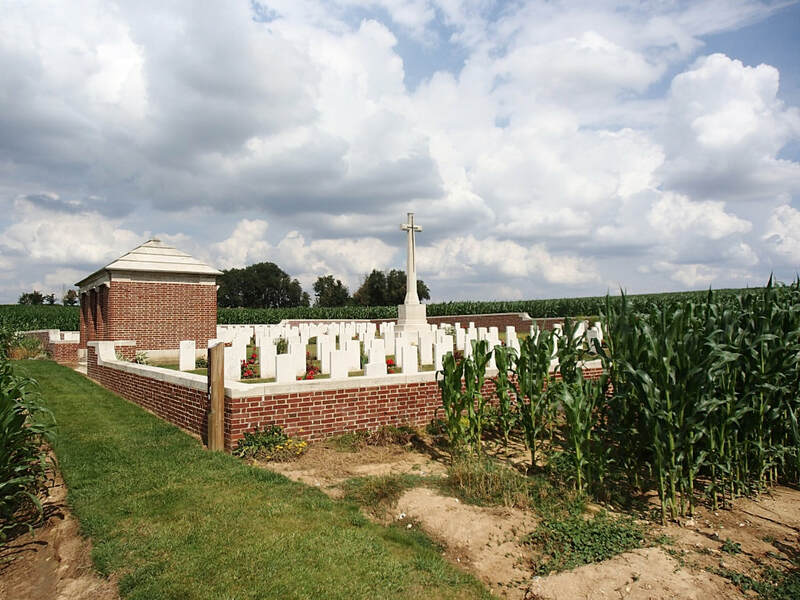 The 2nd Canadian Cemetery was made in July-October, 1916, during the middle fighting in the Somme offensive. There are now over 40, 1914-18 war casualties commemorated in this site. 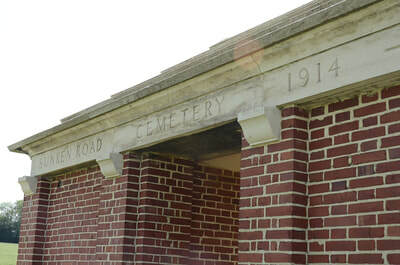 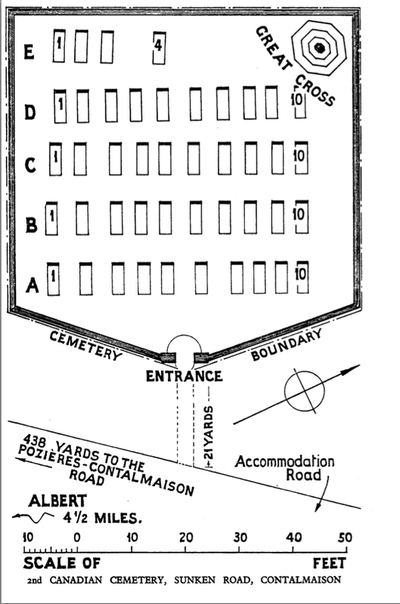 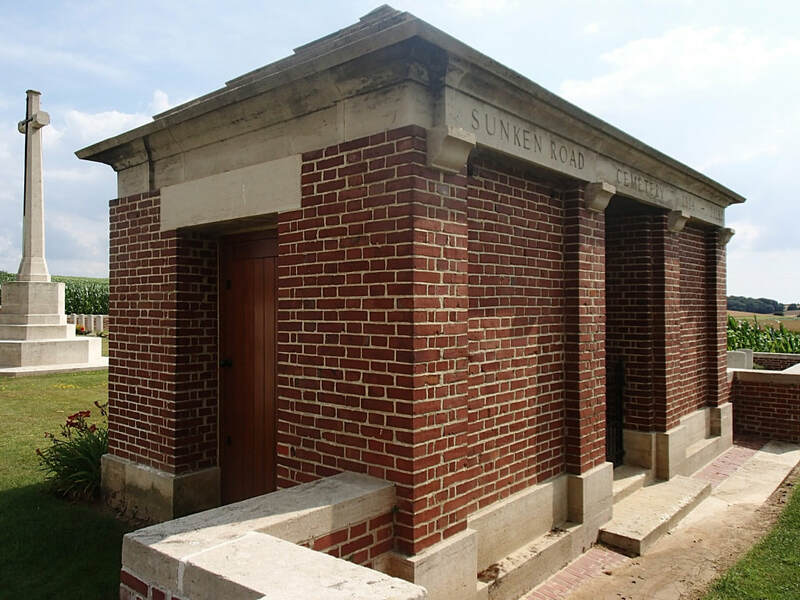 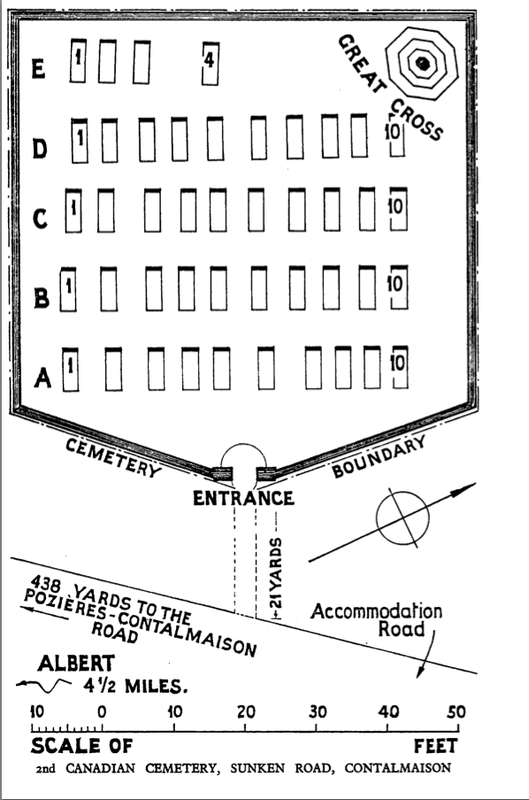 The Cemetery covers an area of 383 square metres and is enclosed by a low red brick wall. 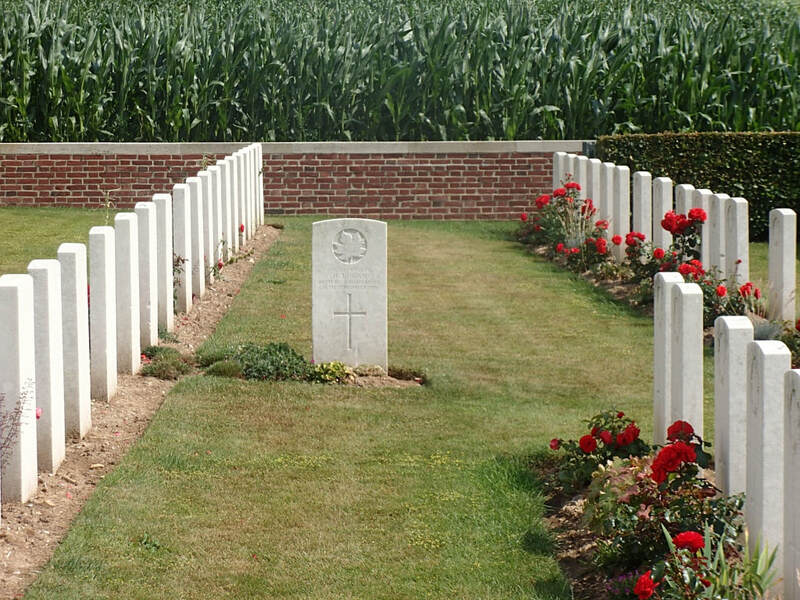 29th July 1916, aged 18. 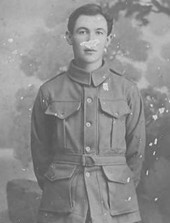 Son of William James and Annie Webb, of 432, Darling St., Balmain, New South Wales. 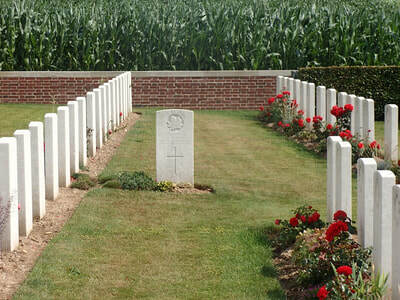 Native of Grenfell. 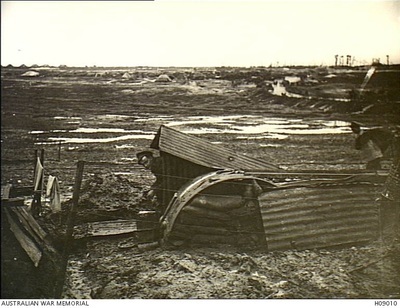 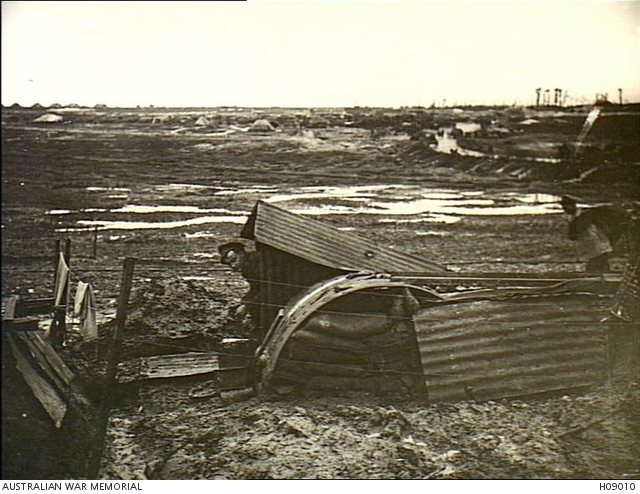 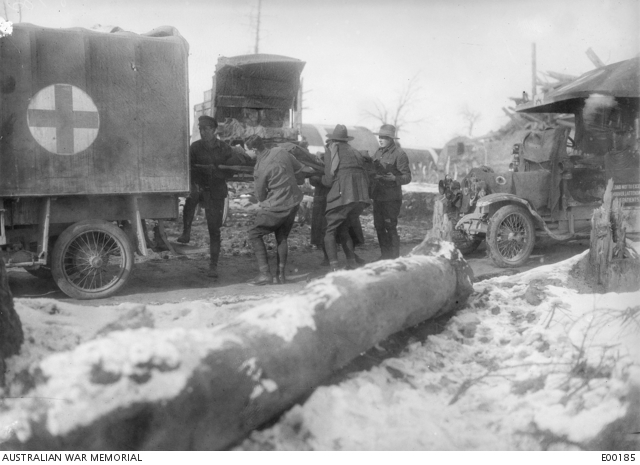 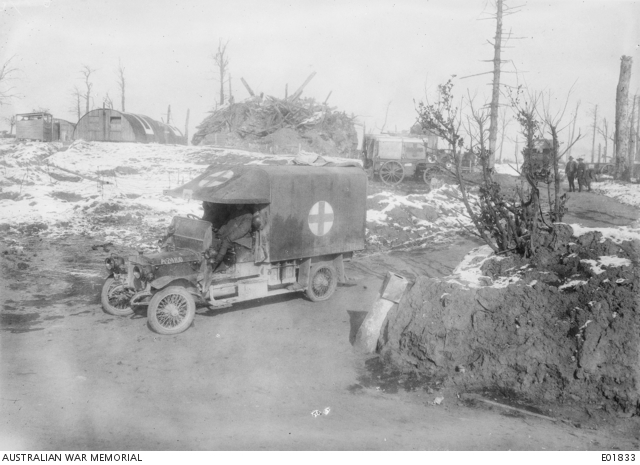 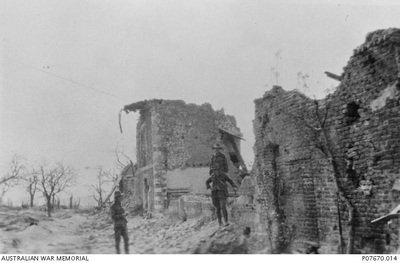 March 1918 - An Australian Motor Ambulance A24100 leaving a Dressing Station at Contalmaison Chateau in France. Note the other ambulance in the background.